Absolutely! 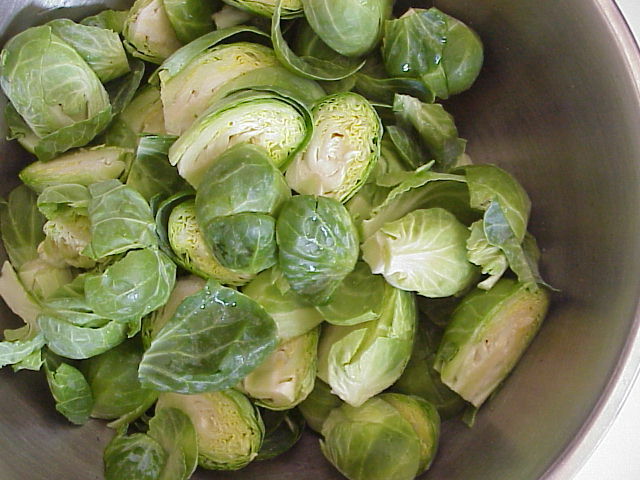 Aside from being a nutritional gold mine, these “baby cabbages” are your perfect green vegetable to accompany the big bird this Thanksgiving. 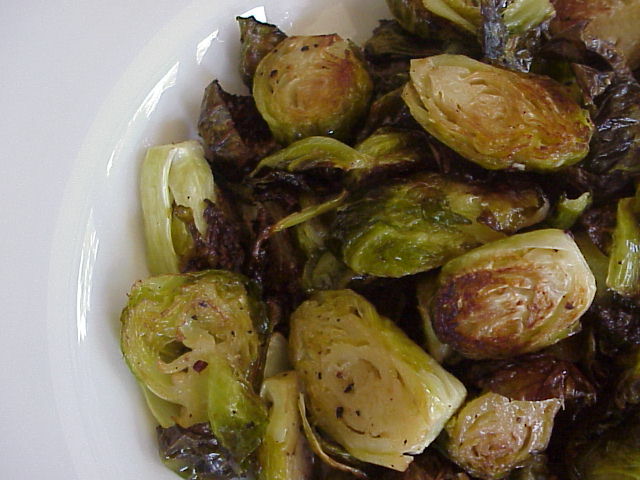 Before you scoff or turn up your nose, forget those “boiled to within an inch of their lives” Brussels Sprouts you may have been forced to choke down as a kid. These, simply oven roasted with a bit of olive oil and a pinch of coarse salt and ground pepper ( at 400 degrees for approximately 30-40 minutes, giving a quick toss halfway through ) are the ticket. In fact, even die-hard ” haters” have been known to polish off what’s left, so make sure to prepare enough. If you’re thinking that these might be too simple try tossing in a handful of toasted walnuts and a drizzle of boiled apple cider syrup to satisfy your need for complexity. For the boiled apple cider syrup bring two cups of fresh pressed apple cider to a boil in a small saucepan. Reduce heat slightly and continue to cook, swirling pan occasionally until cider has reduced to 1/2 cup. Simple. i like them roasted like this—the caramelized crispy edges are heaven. add some bacon after roasting for a treat. Sometimes I have the feeling you are cooking in my kitchen! 🙂 We make them very often, same technique… but, we add cherry tomatoes (cut in half), garlic cloves and pine nuts. Healthy and delicious!